Bishop Francis-Dehqani comes originally from Iran. Since 2017 she has served the Church of England as the Bishop of Loughborough and has a particular interest in work related to diverse cultures and ethnic minority communities within the Diocese. She was elected vice-president of CEC at the 2018 Novi Sad General Assembly. Guli studied at Nottingham University and later attended Bristol University, where she was awarded her MA and PhD in the department of Theology and Religious Studies. After working as Studio Manager and Producer at BBC Radio for several years, she trained for ordination at the South East Institute for Theological Education. Ordained in 1998, Guli served her curacy in Southwark Diocese before joining the University of London Chaplaincy team as Chaplain to the Royal Academy of Music and St Marylebone C of E Secondary School in 2002. For several years, while her children were small, Guli worked part time, writing and speaking especially in the areas of feminist theology and interfaith relationships. After completing a one-year project at the University of Northampton Interfaith Chaplaincy, in 2011 Guli took up a role as Curate Training Officer for the Diocese of Peterborough and was additionally appointed Adviser for Women’s Ministry in 2012. 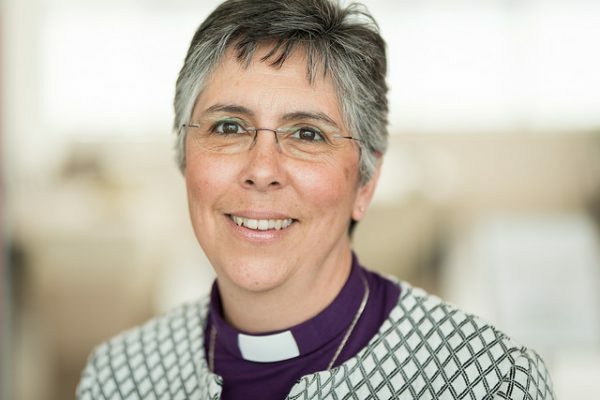 She served on the Church of England’s General Synod from 2012 to 2017 and in 2016 was made an honorary Canon of Peterborough Cathedral until her appointment as Bishop of Loughborough. Guli is married to Lee, also ordained, and they have three children.